When we honour God and put him first is there a risk we will miss out? Bernie explains what the Bible assures us of – the extent and richness of God’s promises when we trust him and obey his Word. We are so busy these days, but is this the way God intended us to live? Find out what the Bible has to say about the encouragement and rest that Jesus promises. 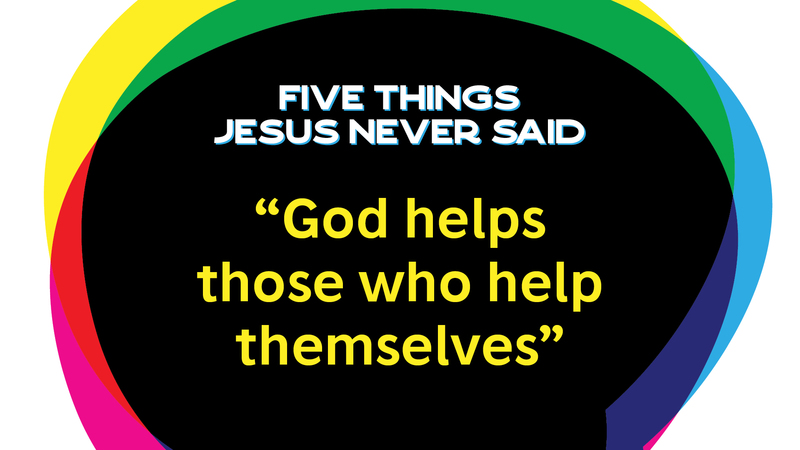 Did you know that it wasn’t Jesus who said ‘God helps those who help themselves’? Come and hear more about this topic, the first in our ‘Five Things Jesus Never Said’ series, tomorrow at 9am, 10:30am or 5pm (there’s no 7pm gathering this weekend). Why does Jesus say we are all unclean? ‘Ascribe to the Lord, you heavenly beings, ascribe to the Lord glory and strength. Ascribe to the Lord the glory due his name; worship the Lord in the splendor of his holiness.’ – Psalm 29:1-2.